In simple terms, Observational Learning occurs when individuals learn to perform a certain task by watching (Observing) someone else (also known as modeling). While a similar system to reinforcement learning is being used along with prediction errors, work capacity is said to be reduced as a person's ability to learn is predicted to be less active in third person situations. Observational learning has been associated with decreased neural activity and effectiveness/efficiency in learning new motor skills when compared to active learners; however, learning still takes place. When is Observational Learning seen the most? While observational learning is performed all throughout ones life, evidence has shown increased use during childhood, with some of the most effective role models being older siblings. Because children have been seen to be increasingly reliant on Observational learning, many researchers have voiced concern surrounding violence seen on TV and poor parental influence, worried that a child will learn inappropriate behaviours through other's modeling. As discussed through the Bobo Doll experiment above, children not only replicated the aggressive behaviours performed by adults but took it further depending on the child's "inner imagination". 1. "Attention to the Model"
Example 2. Hummingbird experiment During this experiment, hummingbirds were observed for observational learning. Hummingbirds were essentially divided into two test groups; hummingbirds with experienced feeders, and hummingbirds without experienced feeders. Hummingbirds exposed to hummingbirds who had used the feeders before showed greater efficiency when feeding than the latter group. This study exemplified the existence of Observational Learning among non-human organisms. Example 3. Rhesus Monkey Experiment An experiment performed by Kinnaman (1902), studied observational learning in monkeys. 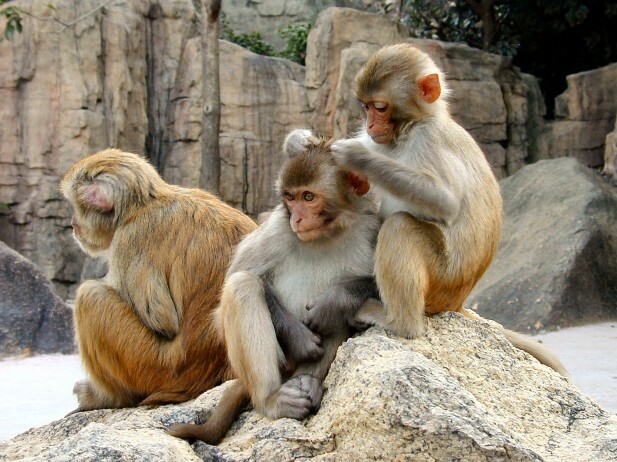 In the experiment, monkeys who observed other rhesus monkey's pull a plug from a box and receive food also succeeded in performing the same task; thus proving that Observational learning also increasing performance of certain tasks in monkeys.